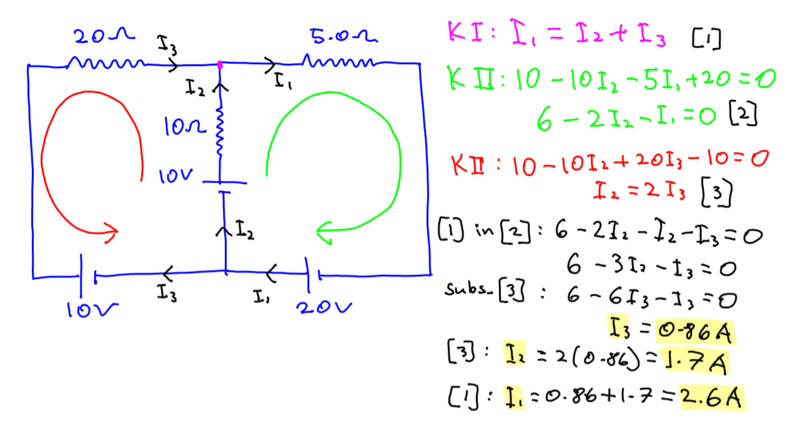 The solution of this problem requires the use of Kirchhoff’s Laws. Kirchhoff’s first law is a statement of conservation of charge. According to this law, the sum of all currents going into a point in a circuit is equal to the sum of all currents going out of that point. In other words, current cannot be lost so whatever goes in, comes out. Kirchhoff’s second law is a result of conservation of energy. It states that the sum of all e.m.f’s in any loop in a circuit is equal to the sum of all p.d’s in that loop. A point to note here is that the law is valid for any loop in the circuit. 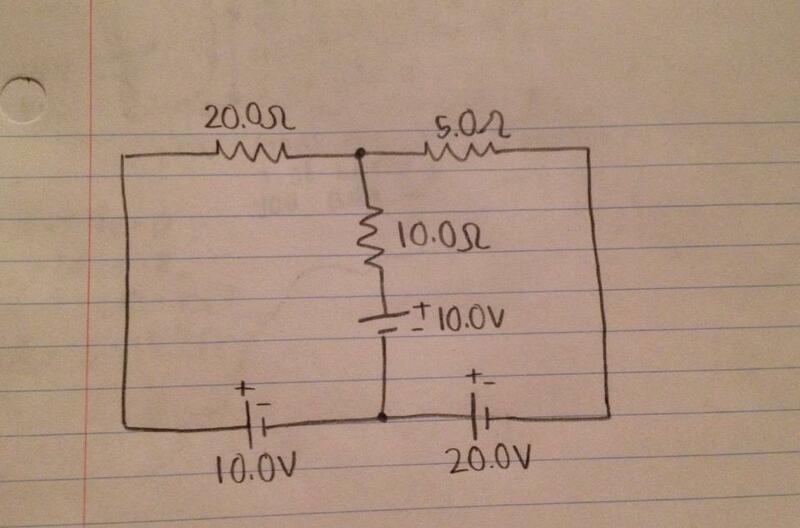 This is very useful because it allows more than one equation involving the unknowns in the circuit to be written. Another important point is that there must be a positive direction chosen for the e.m.f’s and p.d’s. Depending on the way cells are connected together, they may add up or cancel each other out. Similarly, the direction of the current through components determine whether p.d’s should be added or subtracted from each other. Below you can see how these laws are used to solve the problem given.